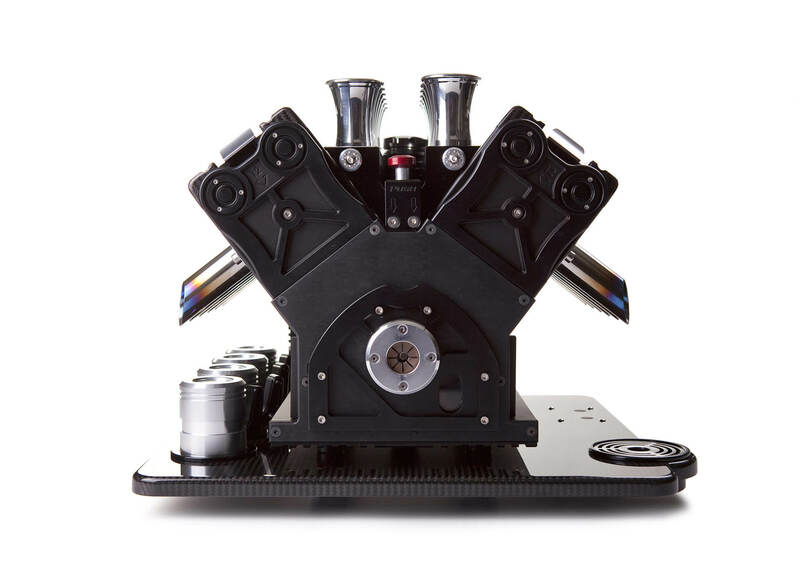 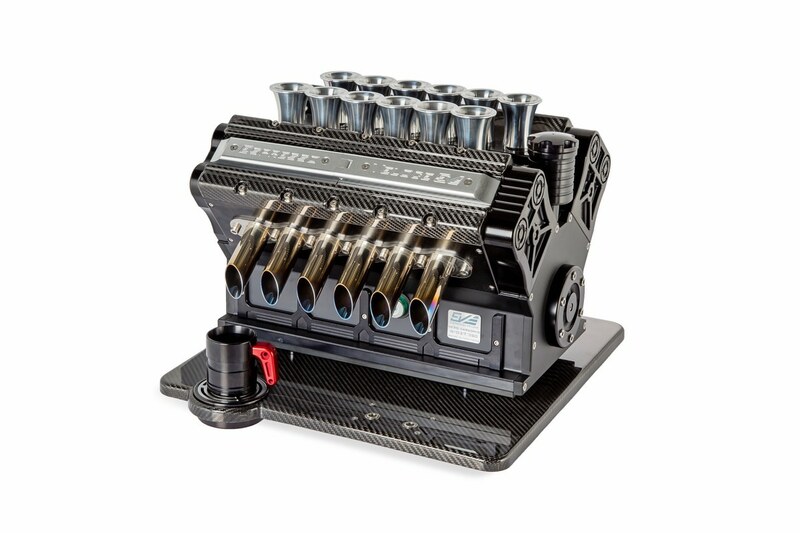 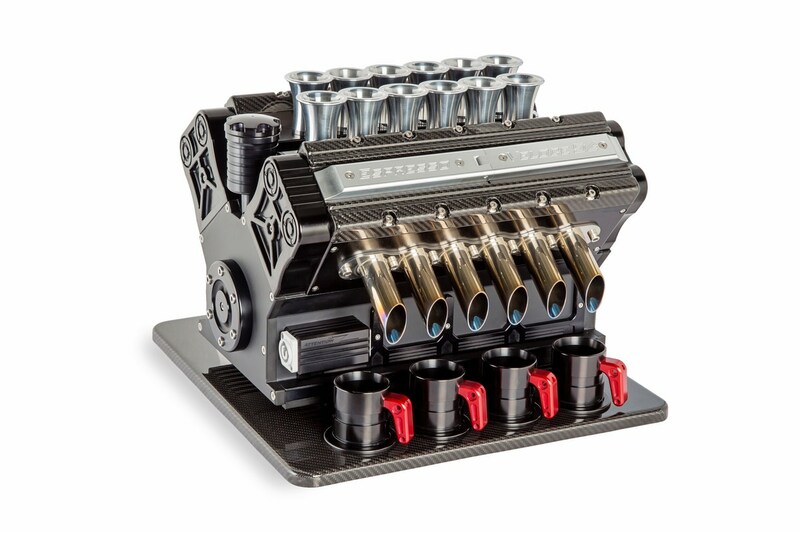 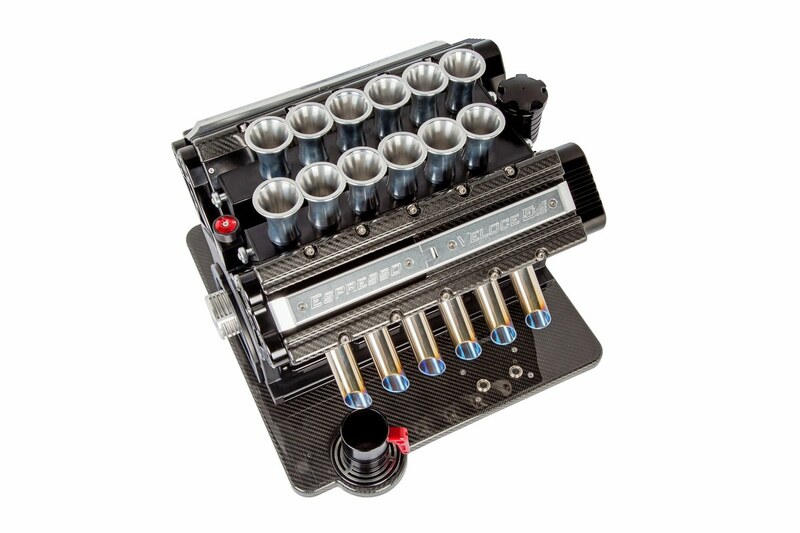 "The Nero Carbonio is supplied in a motorsport-grade jet black finish with the cam covers and base plate precision-crafted in authentic thermoset carbon fibre. 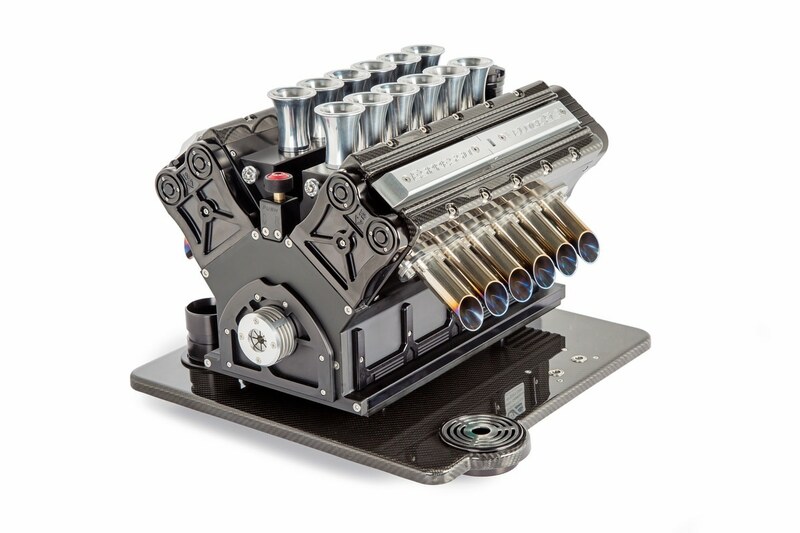 The Espresso Veloce Nero Carbonio masterpieces are hand-built in limited numbers. 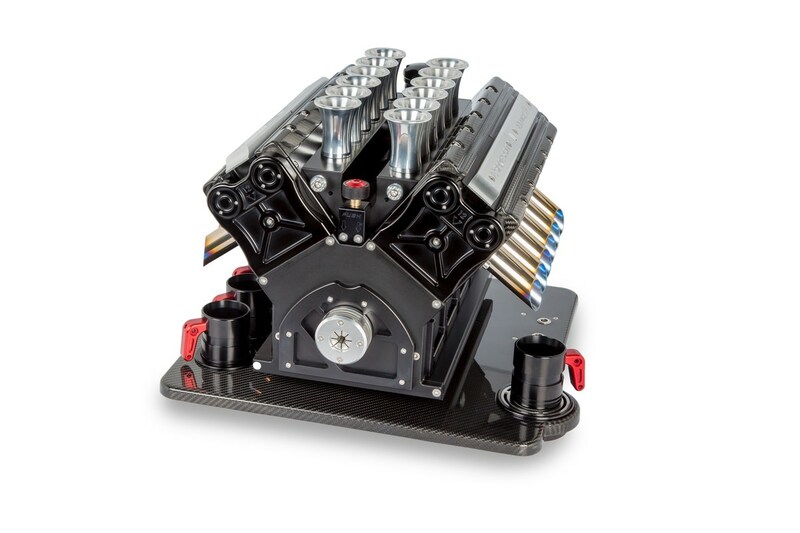 Precision-machined from solid aerospace-grade billet aluminium alloy, titanium alloy and super alloys as used in high specification Grand Prix engines, these high-caffeine creations are half-scale versions of the motors that powered Grand Prix cars over the three most-recent decades of racing."